Monitor 23" Wide LCD Screen Touch Panel :- 12.1"
Available Features Advanced 4D, Vocal II, HD Live Shillouette, Advanced VCI, Elastography, IOTA LR2, CW, Advanced Stic, Recording Module SW-DVR, IEC62359 Ed.2, Sono AVC, Anatomical M-Mode. 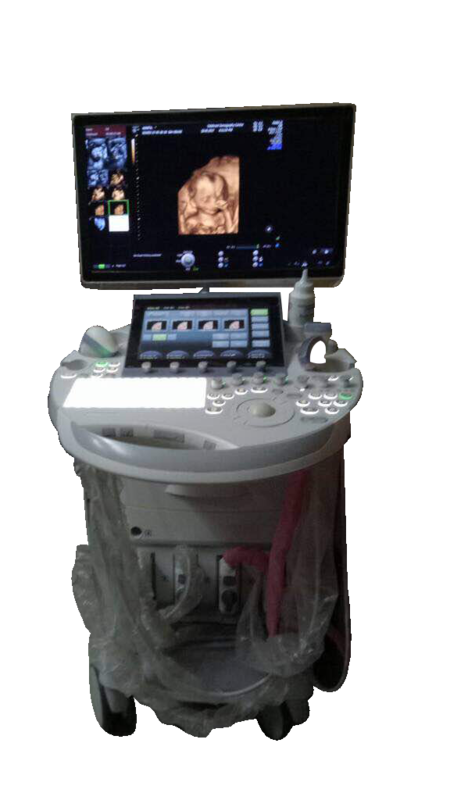 GE Voluson E8 features HD Live imaging technology, which is one of the most innovative and talked-about 4D imaging technologies in recent years. The HD Live feature of Voluson E8 ultrasound machine takes an entirely new view on 4D obstetric ultrasound imaging, providing an entirely new look at fetal imaging. The E8 is attractive to most buyers because of its unparalleled image quality and 4D imaging.